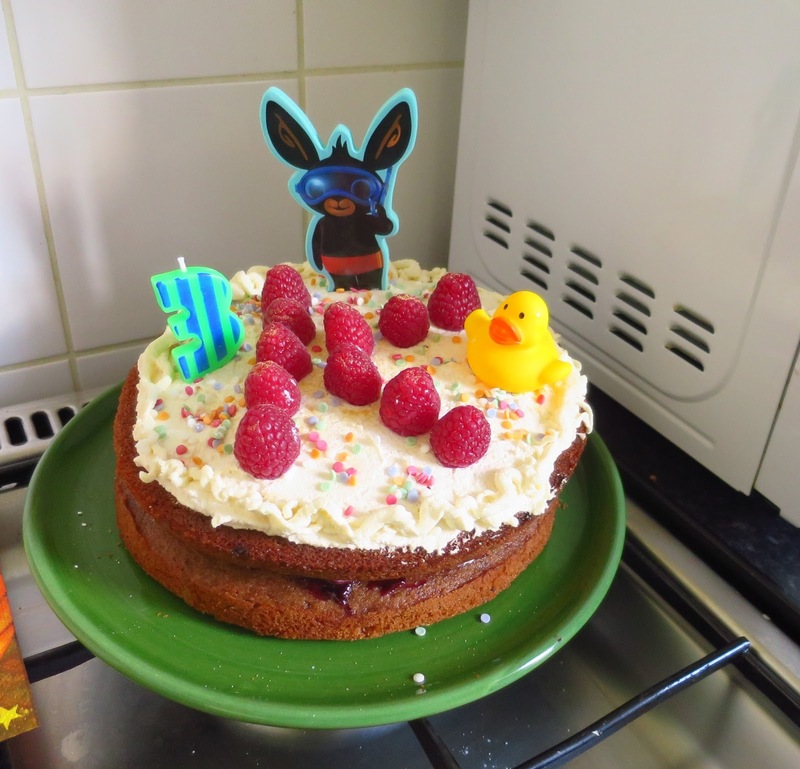 *An English Travel Writer*: Maps and Birthday Cakes. Have to share the twins' birthday cakes. As you can see, their interests are not the same these days, so they NEED separate cakes! Both are very fond of cake but being twins they are quite good at sharing, so the cakes were a success with their little friends too. I thought I'd share with you a couple of the exhibits from the British Library's fascinating exhibition "Maps and the 20th Century - Drawing the Line". It's on till 1 March and if you're in London I recommend it - it shows very many different aspects of maps and mapping in the 20th century. Some were quite surprising to me. For instance, after the war there was a great shortage of dress fabric, but there were many military "Escape and Evasion" maps left unused in the Army stores. These splendid maps had been printed on silk, in order to be (a) lightweight (b) more durable than paper and (c) less likely to rustle when secretly opened. With the war over, there was no further use for them as maps, so someone had the bright idea of making clothes out of them. 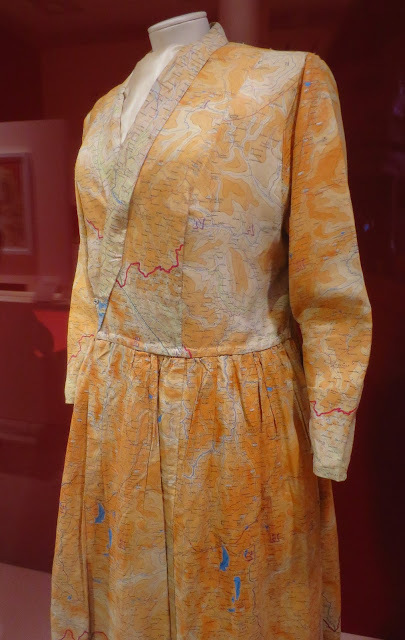 I've never seen a dress made out of a map before. I wondered why, then I realised that after the war, people most likely dyed them to make the dresses look more "normal." I can't say I really blame anyone for not fancying going round dressed in a map of a war zone. These days, though, if the map showed somewhere I liked, I'd be happy to wear it. Maybe that sounds a bit weird to you? Do you find maps interesting? Fascinating about the silk maps that were later used as dress materials, Jenny. And, yes I do enjoy looking at maps and it was always fun to be the map reader when i was the passenger and my husband was driving. Now, of course, we have the electronic version in the GPS unit in our vehicles. Thanks for your recent comment on our blog (The Frog and PenguINN) please feel free to stop back anytime and I will be doing the same here. GPS just doesn't have the same charm, does it? I love OS maps. I worked at the Ordnance Survey for a few years, so I love maps. So I suppose you lived in Southampton? I love the traditional OS walking maps best of any. I would love a frock made out of any of those, what stories those maps tell! I do love maps but I can't navigate with one for the life of me. And I am completely charmed by the idea of a dress made of silk maps. Three years old? It can't be? Now I want to go make a cake. Make a cake! Make a cake! No excuse is ever needed!! I likes maps, but my daughter really loves maps. She can sit and look at them and not get tired. This is the first time I found someone talk about clothes with maps on them How interesting. I imagine anyone owning one of those dresses still showing the map would own something valuable. I'm sorry that I will miss this when I come over to see my mother. I have been fascinated by maps since forever. When I was a child on vacation, my dad let me sit in the front seat and navigate, with the map on my lap. Reading in the car made mom sick. I was enthralled with how the map got us around. Reusing the silk maps as dress material was a brilliant idea. Maps are fun to look at and use. Even with GPS, i like to have a regular map as back up. It doesn't run out of battery or lose the satellite signal. I knew that about the escape maps printed on silk, and think it was a genius who came up with the idea! The watercolour is beautiful! I don't know what the covers of these maps look like these days. Probably a photograph? What a brilliant idea, to make dresses out of the unused maps. I see there were blouses too. But it seems no shirts. Perhaps men objected to the idea of shirt-maps? I love the 2 cakes and that the twins are already showing that they have different interests. I can't imagine wearing a pair of jeans made up of old maps, but who knows, anything is possible! Gosh, you have revived some memories for me. How well I remember the continual adaption of dress wear that went on long after the war ended. Wondering if you made those lovely cakes? I was fascinated to read about the silk maps - the reasons why and that they were then made into dresses... how interesting! The watercolour is so beautiful. I wouldn't mind a slice or two of those cakes right now!! Yum! Oh, I'd wear a dress made from a map except I'd rip is as soon as I sat down (or cut too tight a corner!) But I love the photo. And I do love a good map as well. So fun to see the Twins'cakes. Very pretty! Twins always need a cake each.... at least my grandtwins always insist on two cakes. The map dresses are amazing. I didn't know they existed. It is an admirable idea that the silk were later used as dress materials. Yes, it is interesting! Also I enjoy the details of the colorful cover map. It shows a part of the history of your beautiful Country. 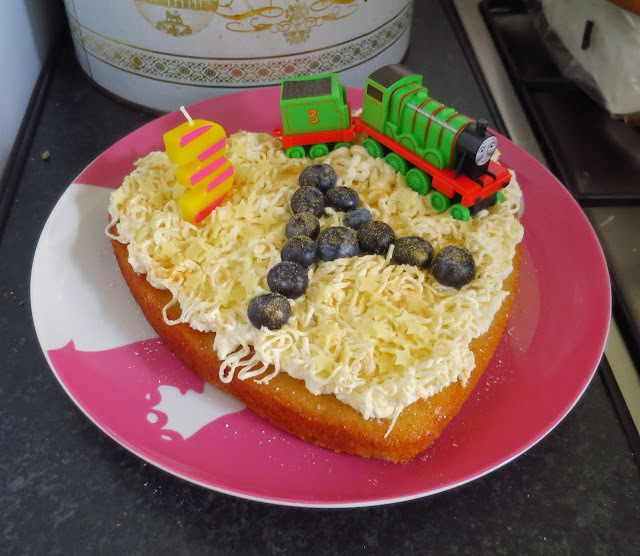 What a pretty birthday cake! How wonderful to see that your grands are learning to share their sweets and will be! Two days ago, a PC repairman came to our house, fixing my PC. He explained why my PC (ourlook) has been suffered and I understood finally. My Ocn line was changed to Softbank last month and I needed to renew my server address,but I did not do that. Happy day to you and your family! Well it would be lovely to see the locks used like there were in the old days in the 21C! I also loved the idea of map fabric, maybe a designer will pick up on this idea, looks like a very interesting exhibition. I love maps too and spend hours poring over them! 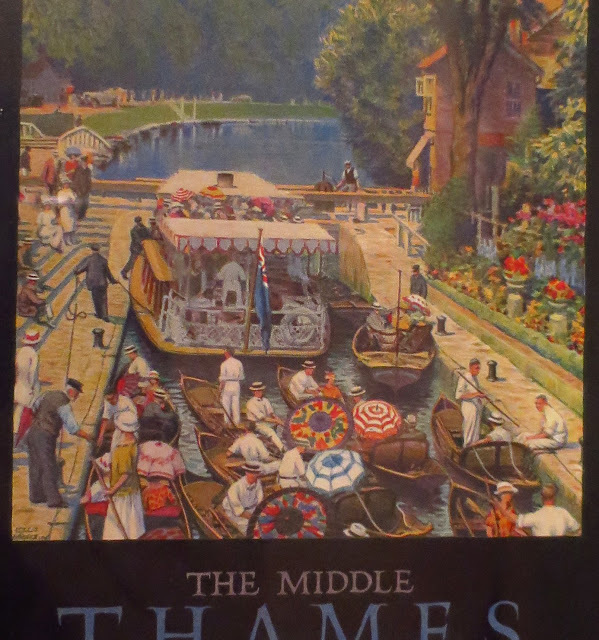 I would love to have a map dress, I think, especially if it was made of silk :) The map cover with the boats going through a lock is too lovely for words! Gorgeous cakes, Jenny. How sweet twins can be! Fantastic looking cakes for the twins! My favorite book in high school was the world atlas (I still have it), so naturally I'd love to have a dress made of maps. Splendid cakes, and many very happy returns to A and K.
Dresses made of parachute silk were interesting as I believe the fabric was treated to be not photographable. Can this be a true story? Anyway, a beautiful silk bridal dress that turns invisible in a photograph makes a good story. Different map projections can make the world look proportionally unfamiliar. America is relatively small on a Peter's projection map. I'd be happy to wear any of them, but at my age it might be good to wear the local town map with home circled in red. Just in case! Happy birthday, Twins! The two cakes easily made me imagine their happy faces. Wish them healthy growth without serious injuries and diseases. I haven’t known a dress made of silk map but now it reminded me of a petticoat made of parachute. I love maps but I’m ribbish at reading them. I’d actually love some of that old silk to make something with. My twin grandchildren also had a brthday this week. They are nine and their cake was divided into two very distinct halves reflecting their different interests. Cute cakes! I love that you did their initials in fruit. I adore maps and love to read them. All my children love maps also. One of Daughter best handmade book is a huge bird that keeps a map tucked under his wing. It is not like a map we usually use. If I was thin or could fit I would wear that map dress in a second ! I love the silk maps. Its a pity that the exhibition is only till March. Wonder what the Library will have in store for us when we visit UK in July/Aug.